Mr. Jagger, what kept you from completely going off the deep end? I mean we all did excessive things and I had a lot of unstable moments as I’m sure everyone does in their life. Maybe it helped me that I had a very centered upbringing. Yeah, I think so. When you are young and you have a sort of close family life and stuff, it helps you to be centered for later. If you don't have a centered upbringing, I think it is much more difficult. You still had a very destructive lifestyle back then. Excess was the order of the day. But that was just a period. You know you get excessive people nowadays as well. Today people are excessive consuming things, like consumer goods. But you were even chased by the police for your drug abuse. How do you remember those days? At the time it wasn’t very funny. It wasn’t very good because it completely took over our lives creatively and we couldn’t do this and couldn’t do that. You had to spend all your time trying to deal with all the police and you didn’t have time to do anything else. Were there moments where you were lying in your bed thinking that you should slow down? I was not that bad, no. I was pretty centered really. Once I even had a very nice house in the South of France that I rented from someone. I had a very nice garden, I could walk around, I had a really nice swimming pool. A friend of mine was a falconer and he used to come and train his falcons in my garden. I found that very restful and interesting. The period you are referring to now was in 1971 when The Rolling Stones had to leave London because of massive tax problems. You were world famous, broke, and had the government on your tail. We were broke, yeah. Taxes were very punitive. Through our own fault and other people’s faults we had not been very good with looking after our money. We got money from the record company to fund our album, otherwise we couldn't have come to the South of France and lived in a nice place. But we had a lot of back taxes to pay and that was the only way we could do it at that time. You ended up recording Exile on Main Street there, an album that has become part of rock history. Looking back do you consider this as your most important work? My finest hour. (Laughs) Well, it is certainly good and certainly it was a very creative period, a really good period. Some very good things came in that period in music. There was some crap as well but there were some really good things, some good rock things, it was a very good period for soul music as well. They had great albums by Curtis Mayfield, James Brown, Marvin Gaye. It's a very good album, but I don't know if I have a best one. I mean do you have a best film? I don't really have favorites. And I don't listen to Rolling Stones albums. A clip from Let's Spend The Night Together, a film about The Rolling Stones' record-breaking 1981 arena tour by director Hal Ashby. How long does it take before you start to miss music? I did seven years in the ’80s where I didn’t do any shows and I didn’t really miss it very much. What’s your perception of yourself today? English gentleman or rock legend? I don’t think of any of those things. They are all sort of meaningless; meaningless typecasts. Do you wake up in the morning and think, “I’m such and such?” You just are you. You become aware of all that when you’re doing these kinds of official appointments. That’s the only time you ever think of it. Your history with beautiful women is widely known and now your daughter Georgia Jagger is becoming a famous model. You know exactly how dirty that business is. Yeah, well we chat about all that. We talk about all that quite a lot. Are there any specific recommendations you give her? Don't take life too seriously and always remember: it is just a passing fad. What feelings do you have when you think about the fact that one day the era of the Rolling Stones will be over? Everyone’s life comes to an end. And all around us, you and me, our life will come to an end. You will stop being a journalist and you will die. So what can I tell you? We’re all going to come to the same fate. So you just keep going while you can, doing what you like. So I am just the same as everybody else. If you don't fear death, what about illness? I don't look at the clouds of tomorrow through the sunshine of today. Keith Richards just wrote his autobiography. Would you ever publish one? I’m sure I would but I think dwelling on the past for longer than a few months is really dull. If you think back, what do you remember with fondness and what do you regret? I don't regret anything and I am very fond of all of it. 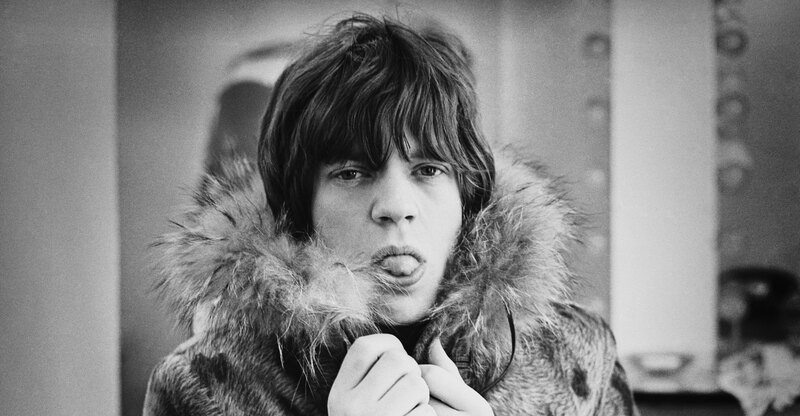 My years with the Rolling Stones are and were a wonderful time, really. I mean, you could paint it in a very dark light: it was decadent, yeah it was quite decadent, but decadence is very enjoyable, isn't it?